Who else used to shriek like a banshee when their mom tried to brush the knots out of their hair back in the day? Just me? 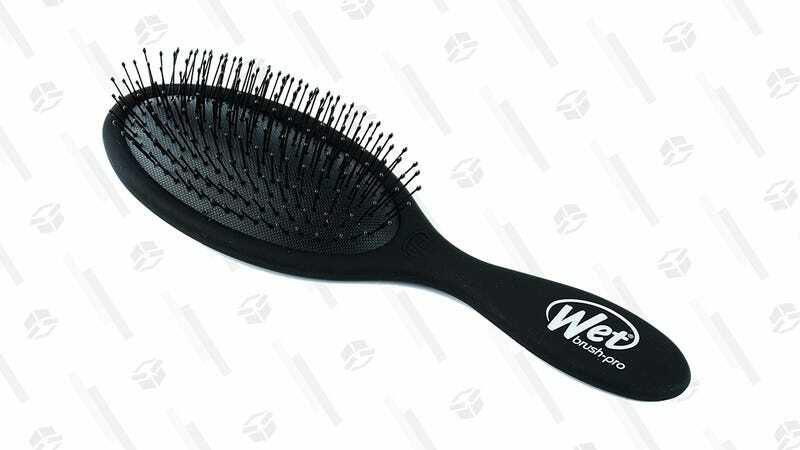 OK. Well, I wish my mom had had this Wet Detangler Hair Brush back then, but luckily, you can get one today for just $7. It’s fine to use on wet or dry hair and will even work on wigs and hair extensions. And with 4,888 reviews on Amazon, this brush comes highly recommended by the tangled hair set. Not today, knots.